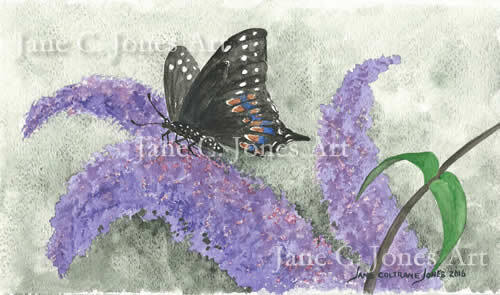 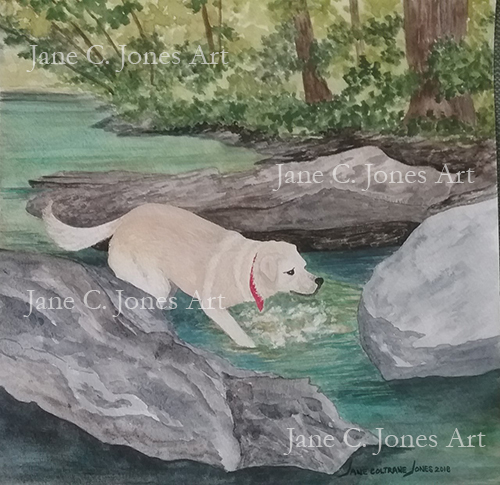 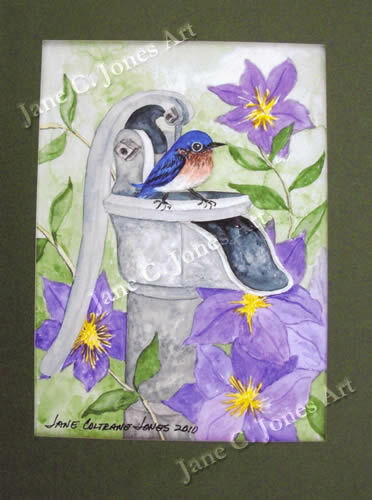 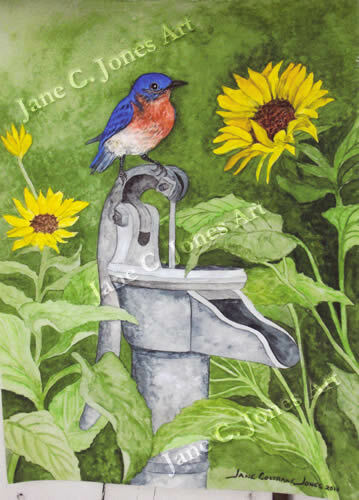 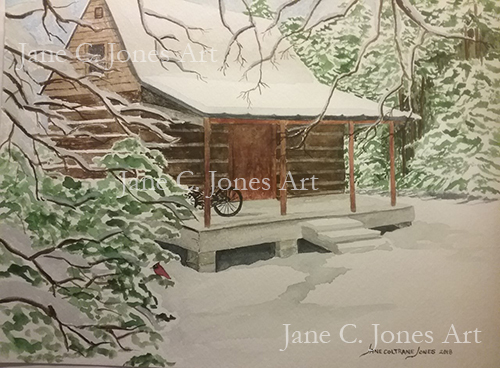 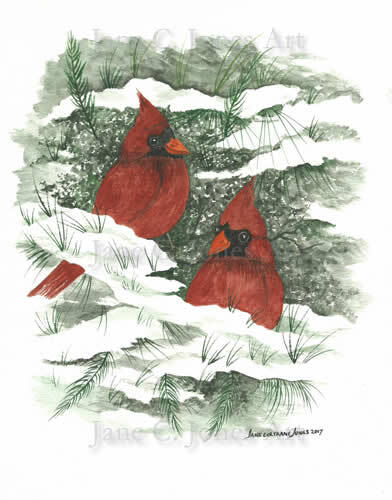 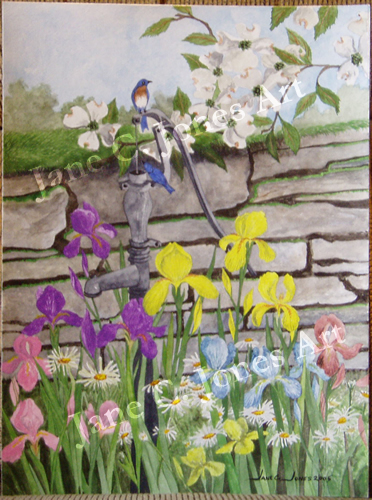 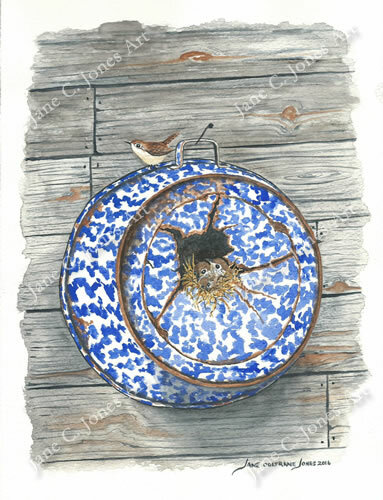 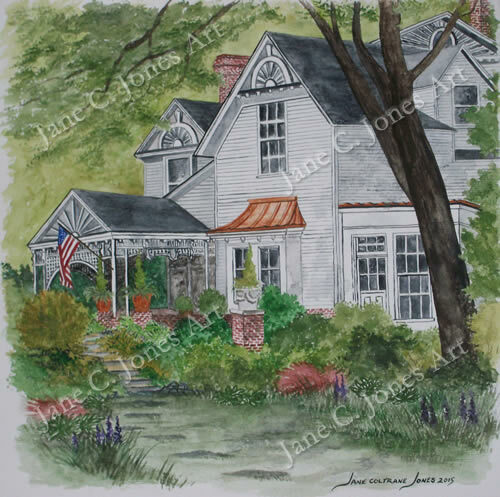 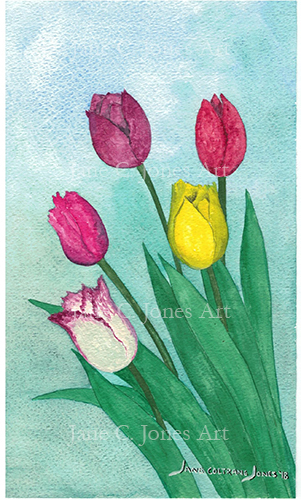 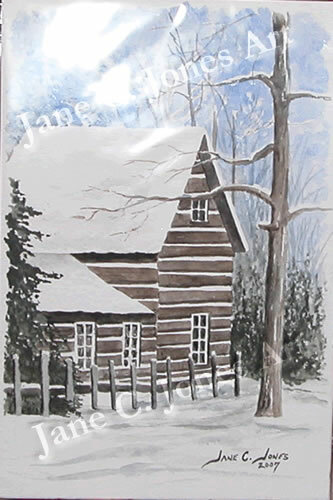 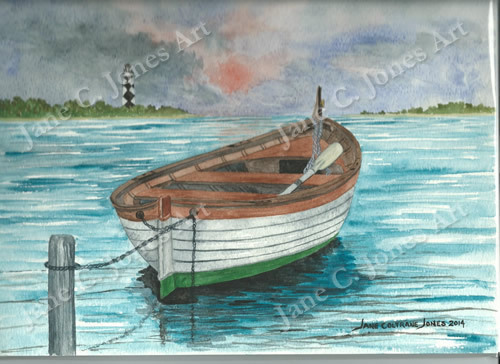 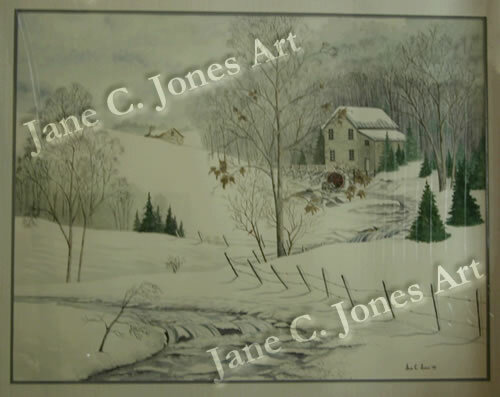 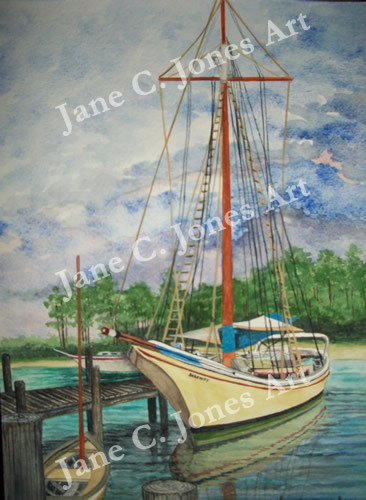 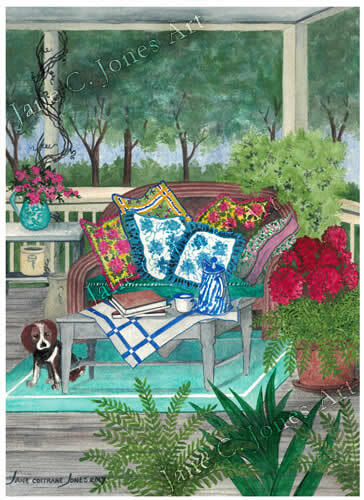 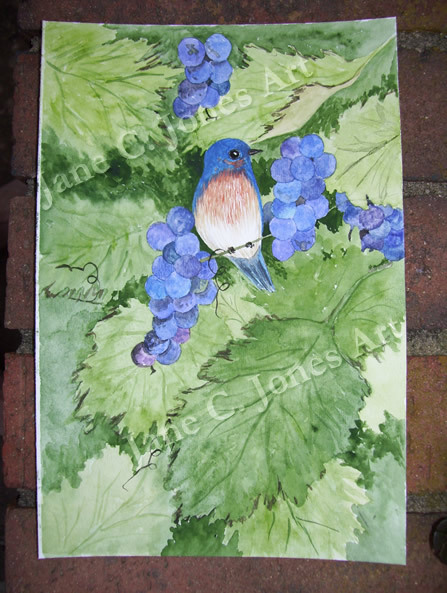 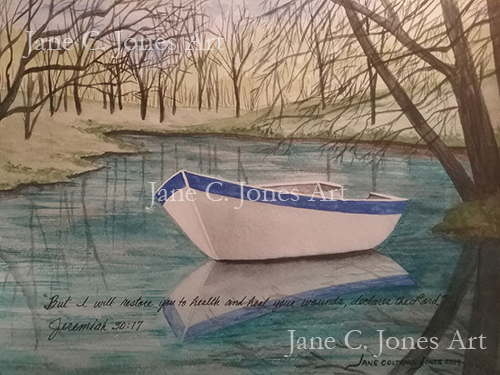 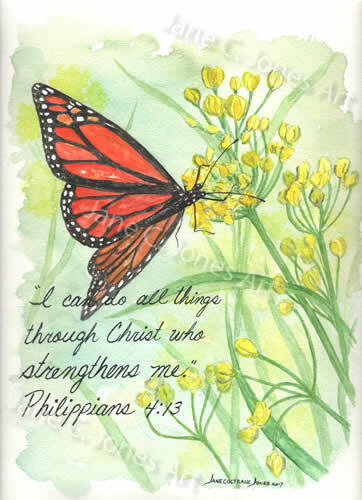 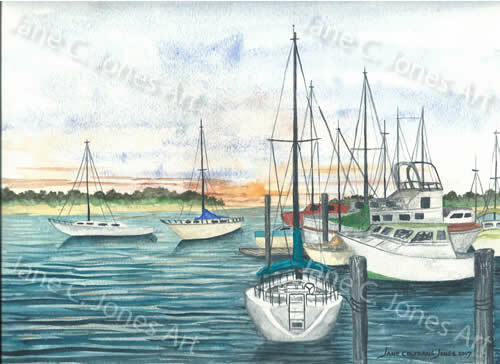 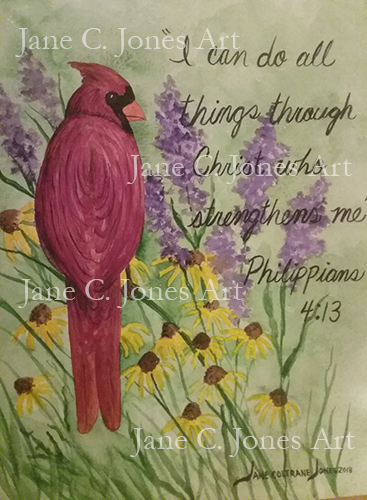 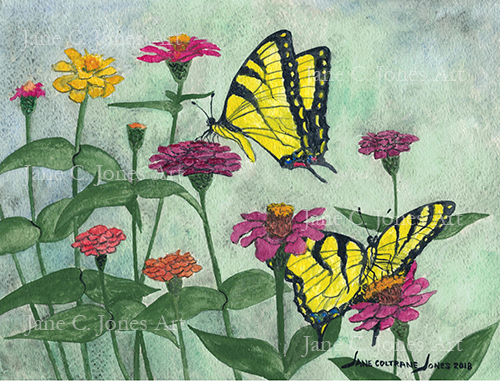 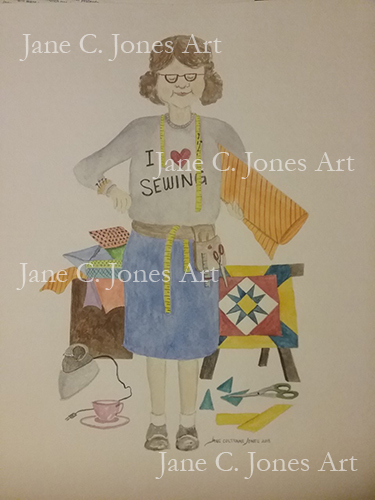 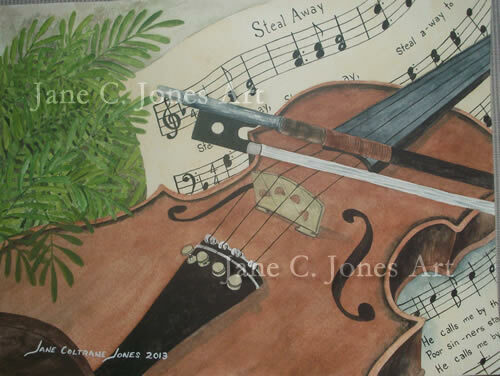 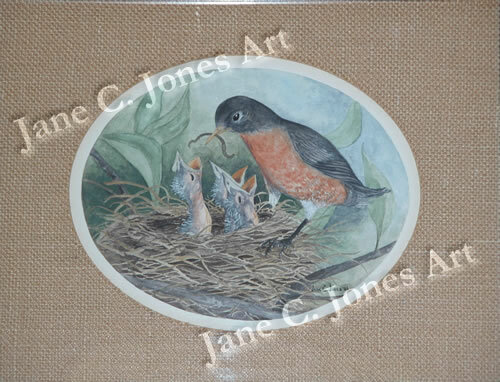 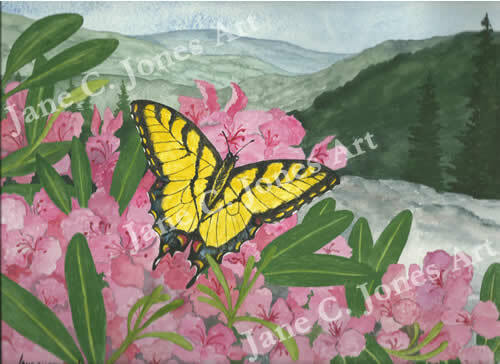 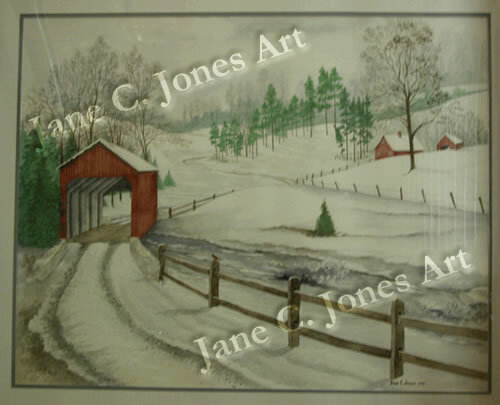 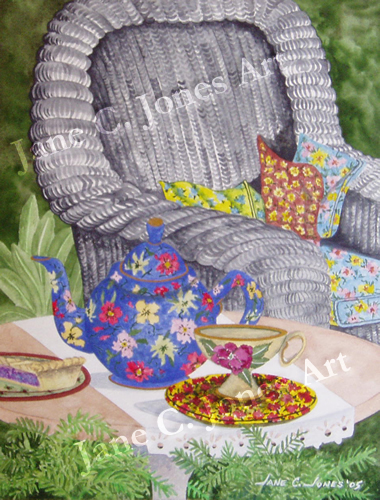 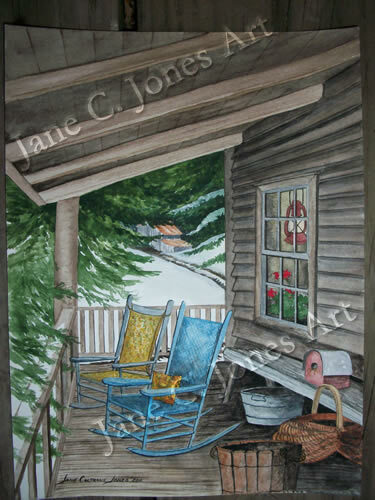 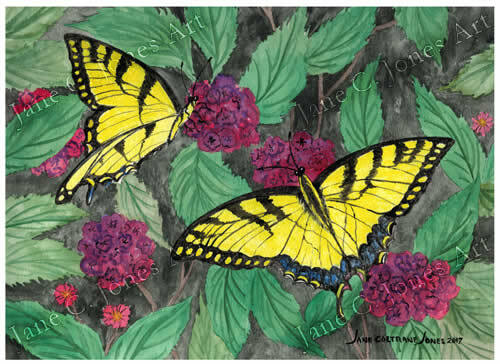 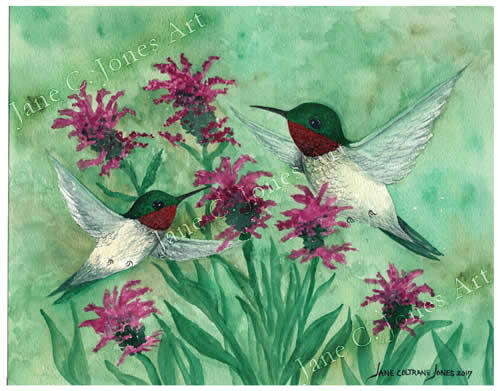 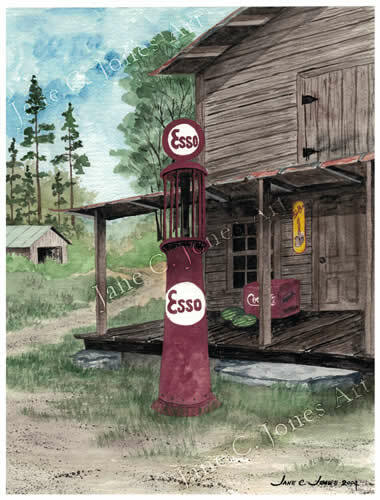 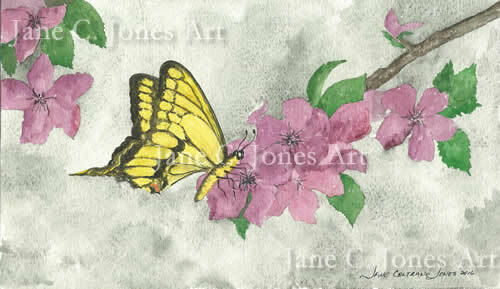 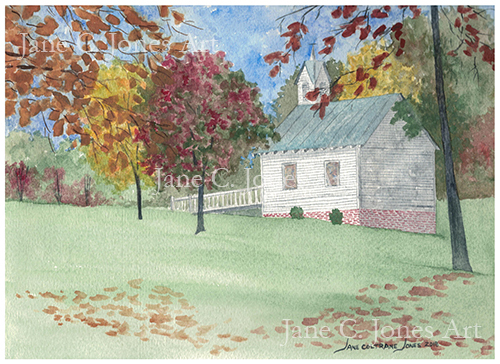 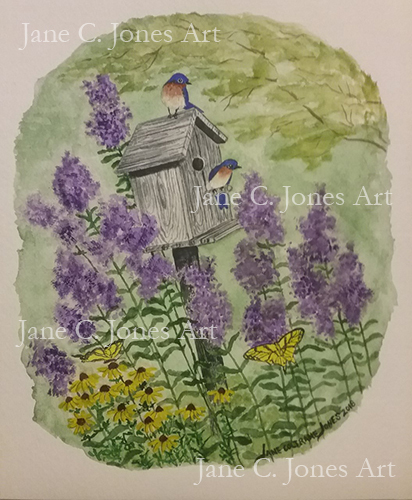 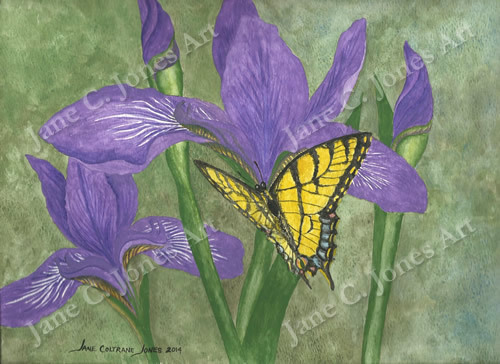 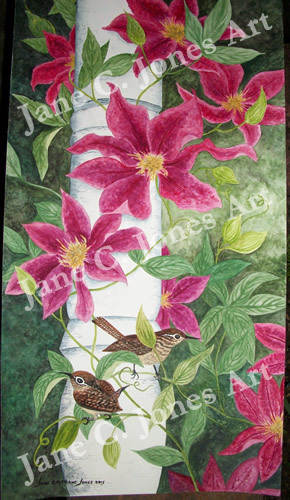 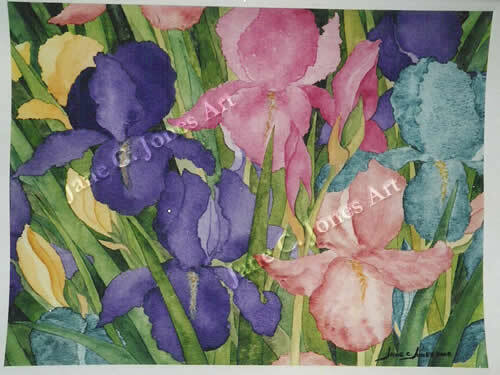 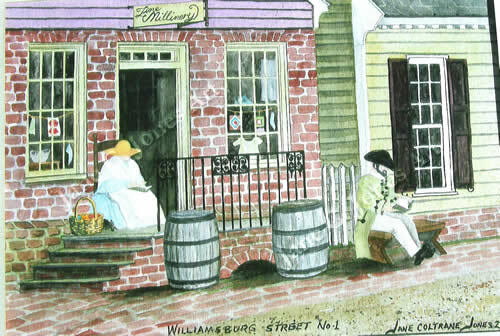 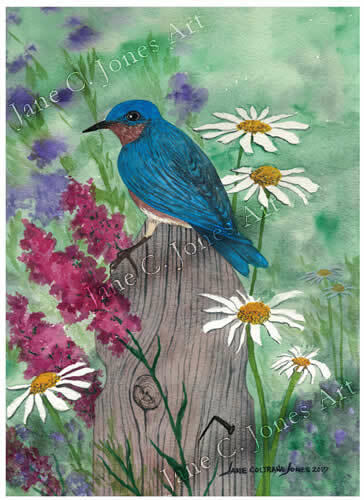 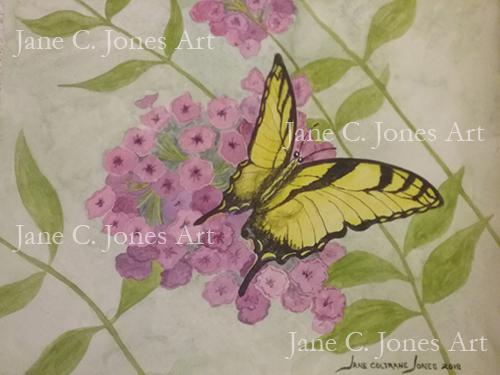 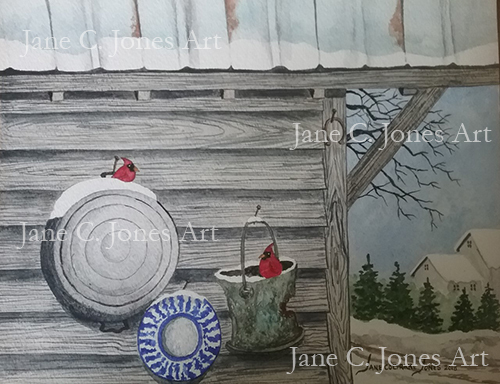 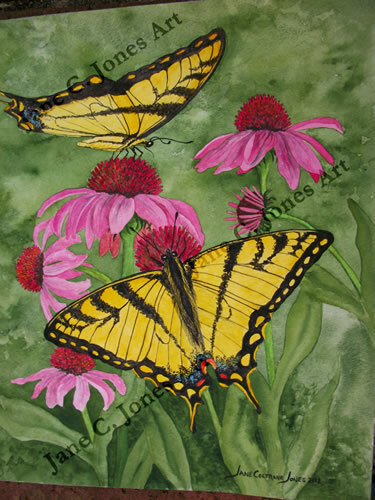 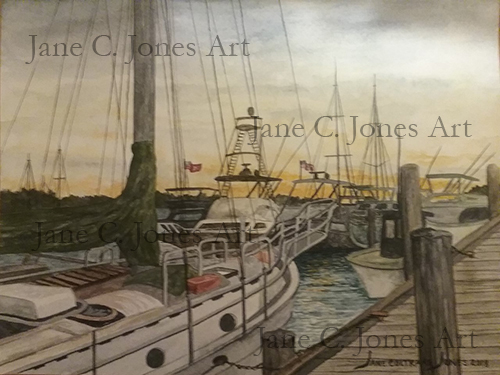 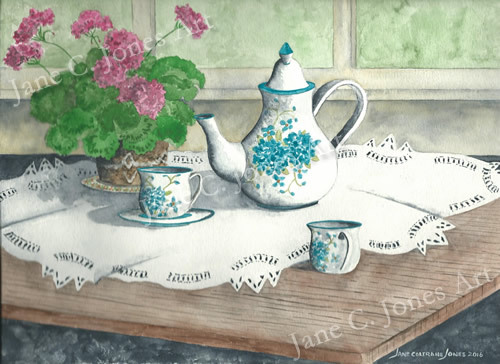 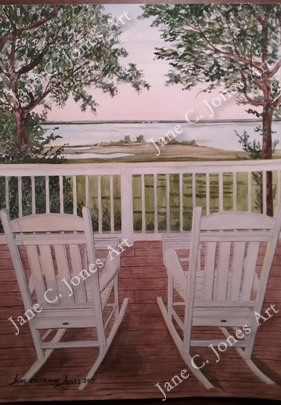 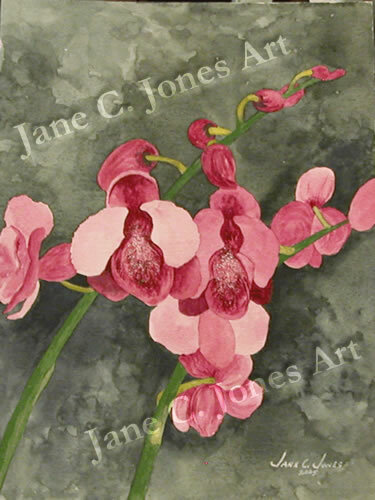 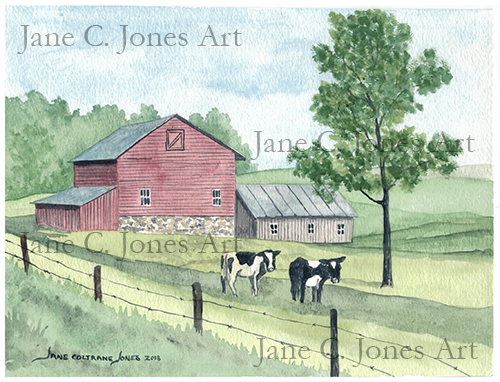 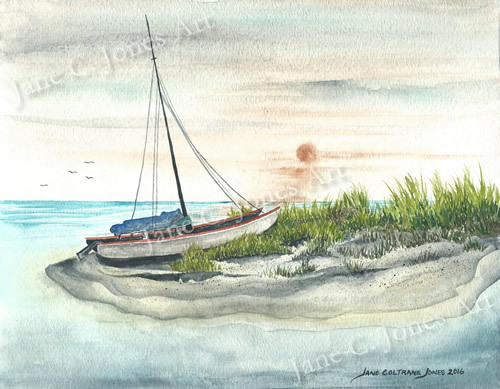 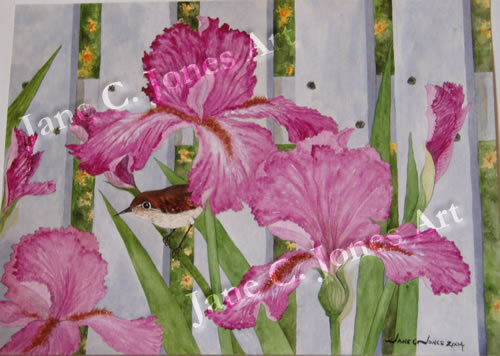 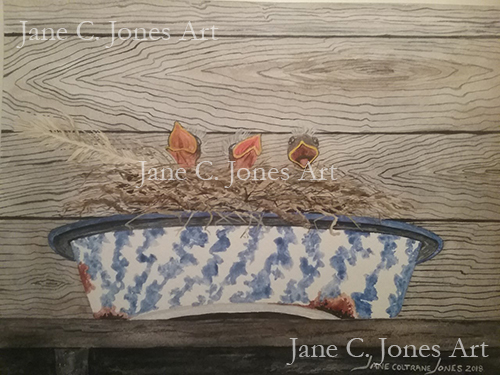 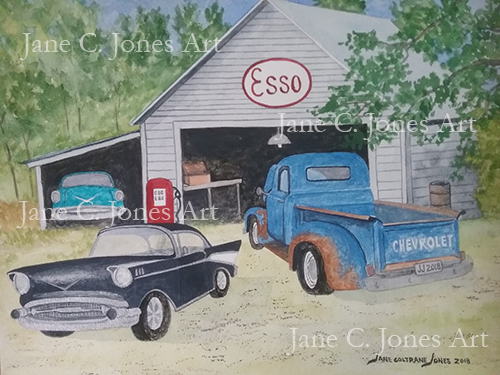 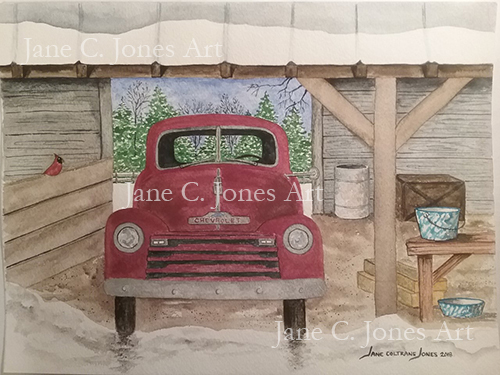 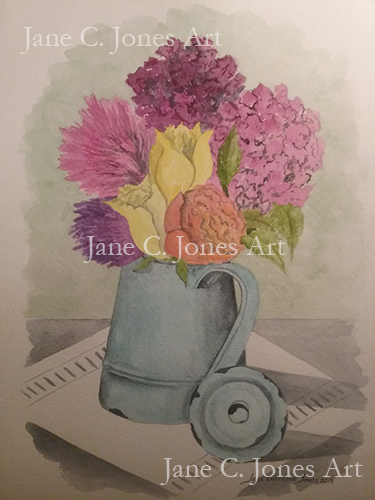 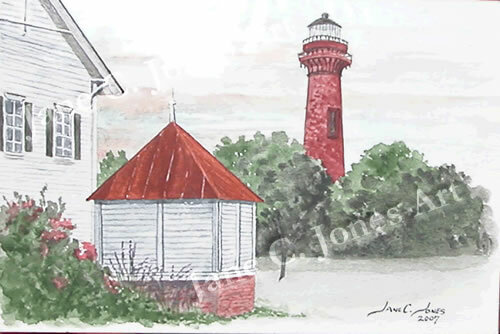 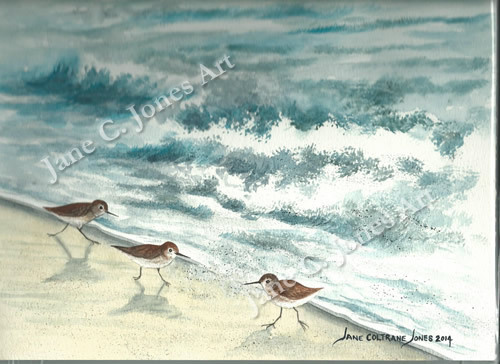 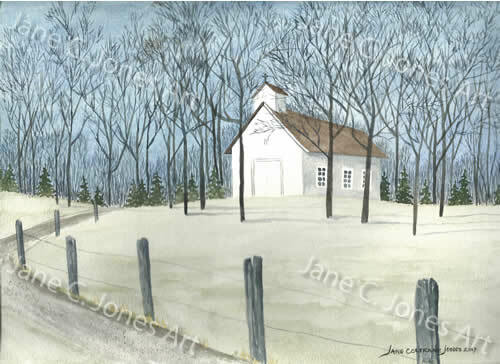 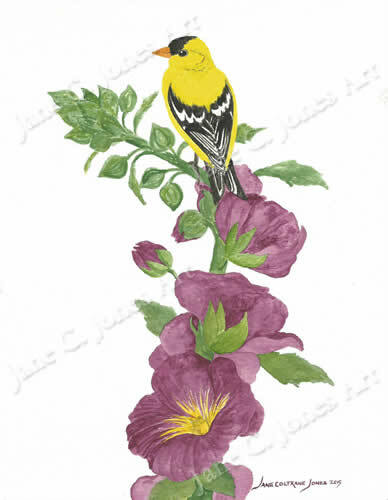 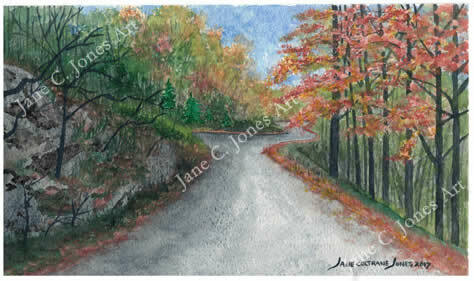 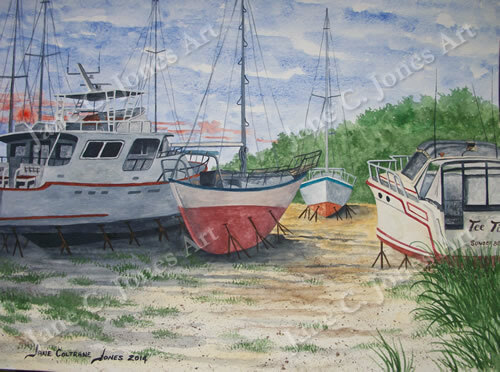 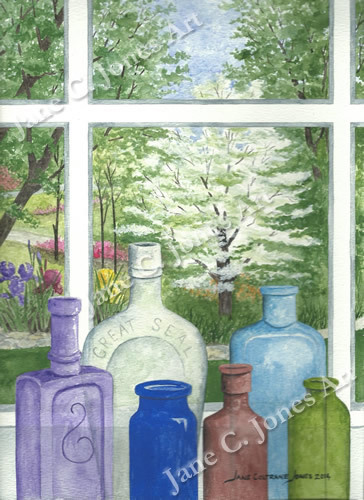 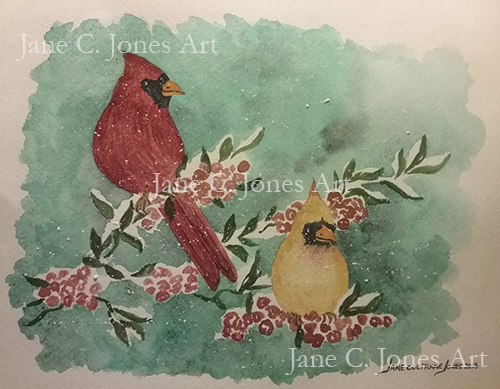 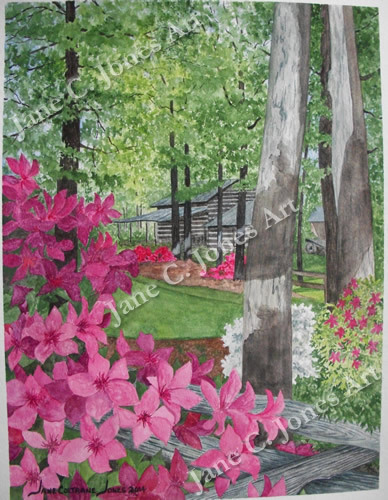 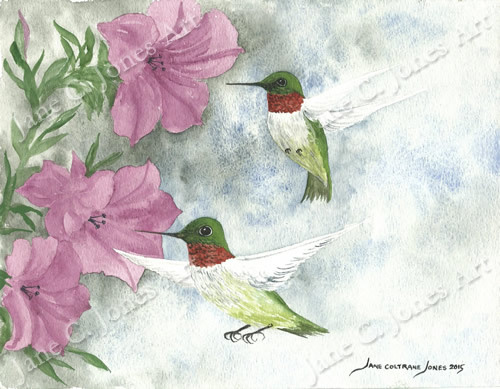 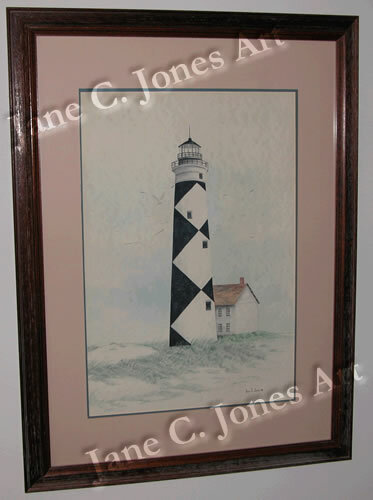 Jane C. Jones - WatercolorsSome of the painting on this page are not for sale at this time. 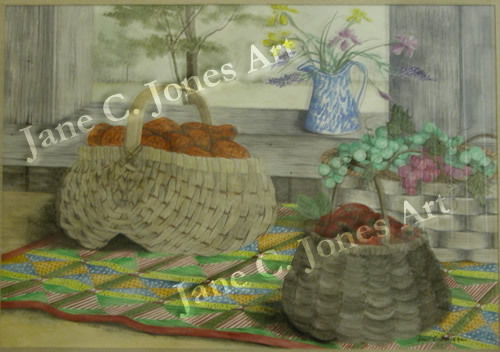 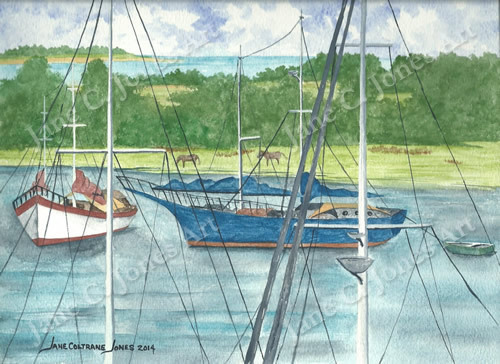 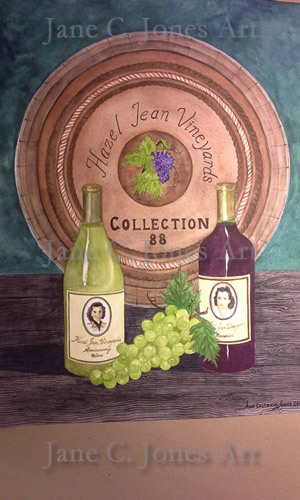 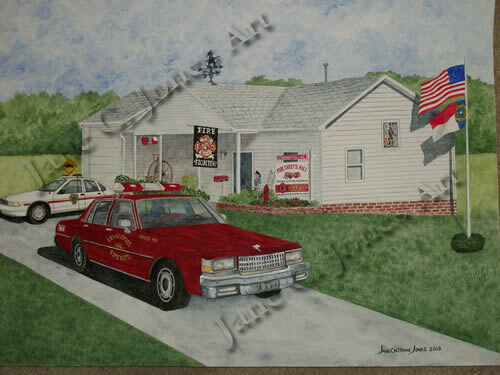 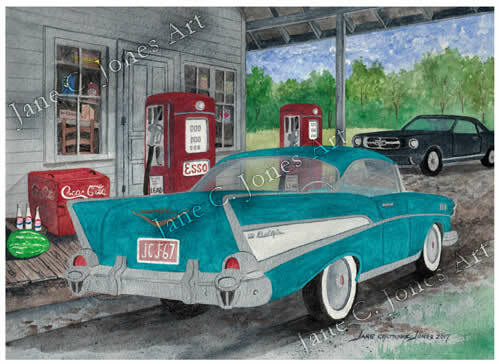 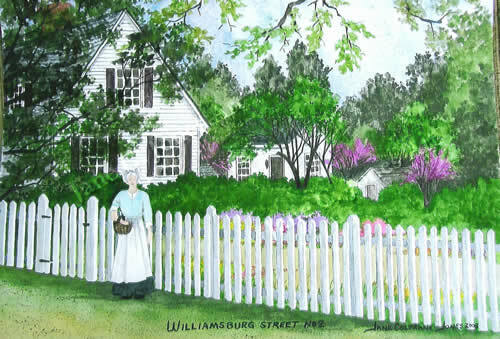 I chose to include them on this page to show some of the differences in my paintings. 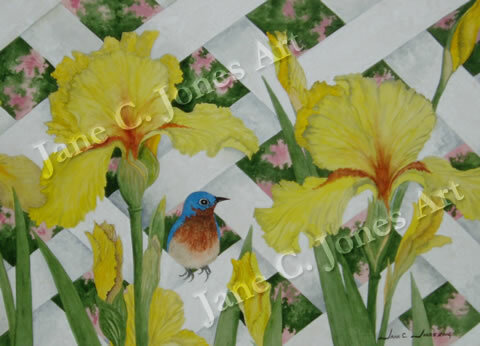 If you see something you like please contact me about purchasing the painting. 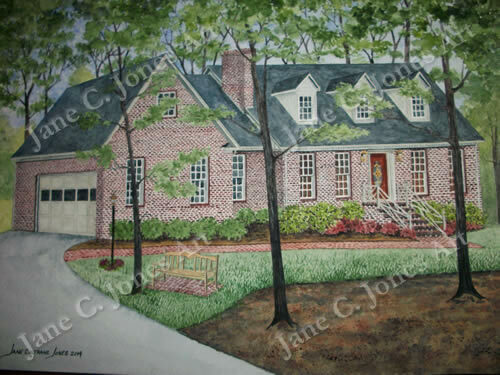 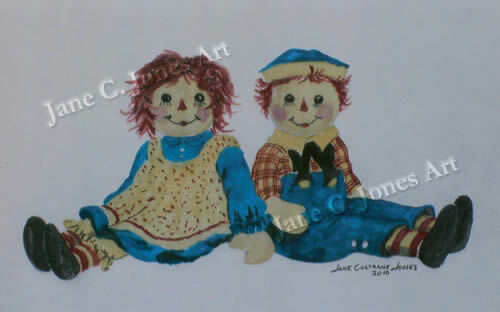 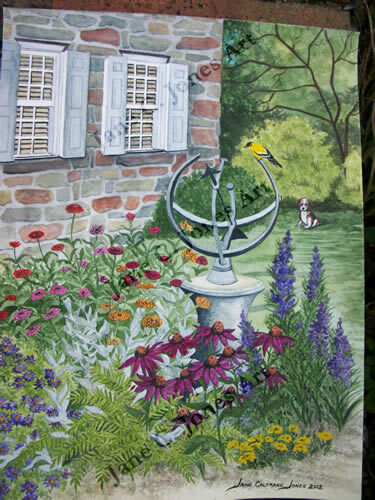 If you like something and it is not for sale please contact me about painting a picture for you. 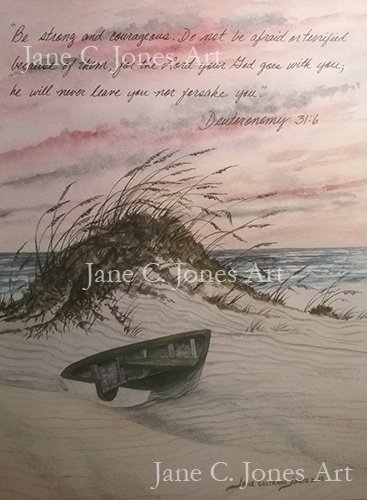 Some of the painting on this page are not for sale at this time. 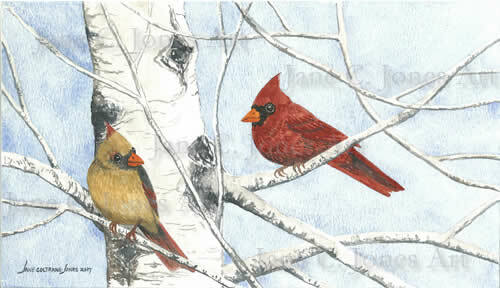 I chose to include them on this page to show some of the differences in my paintings. 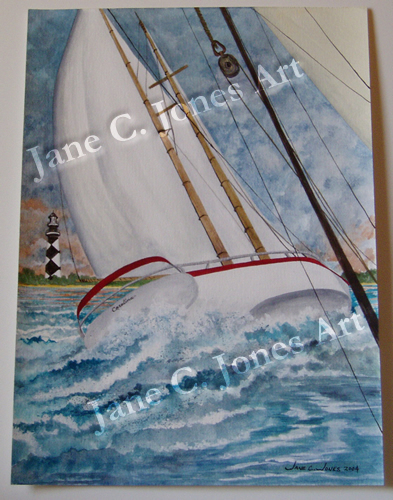 If you see something you like please contact me about purchasing the painting. 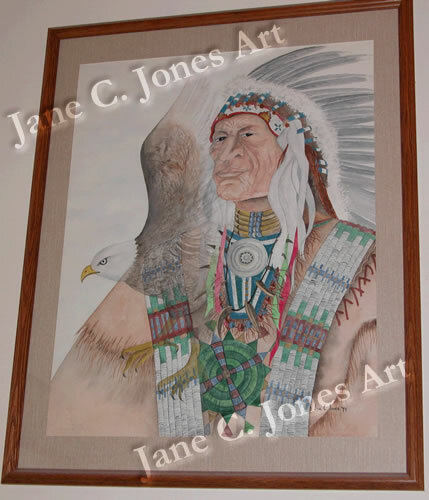 If you like something and it is not for sale please contact me about painting a picture for you. 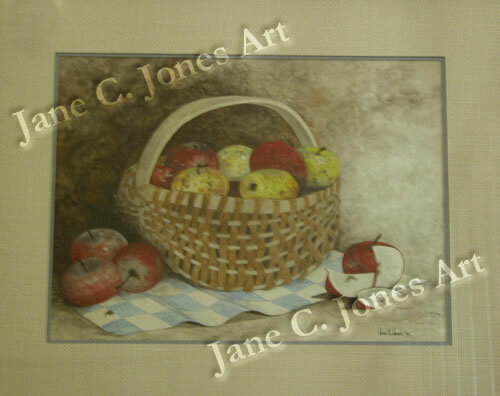 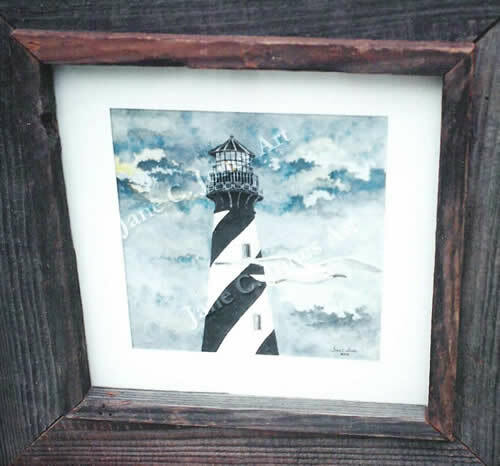 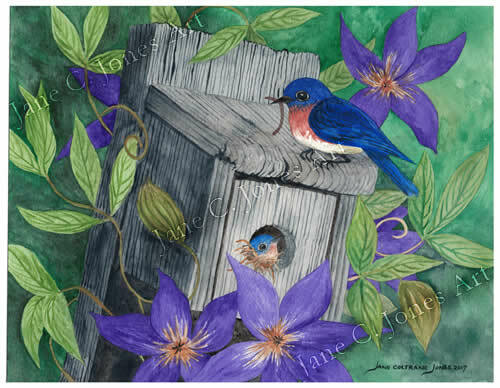 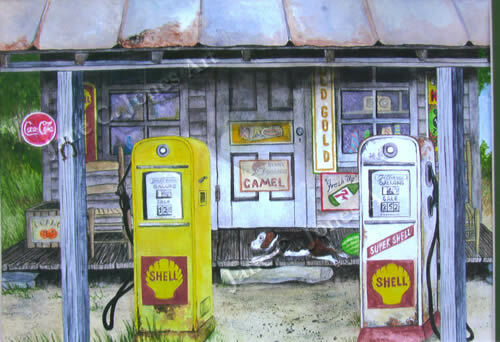 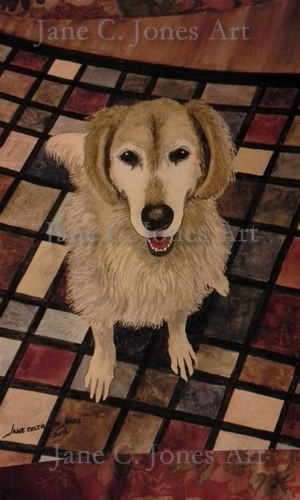 This painting is sold matted but unframed. 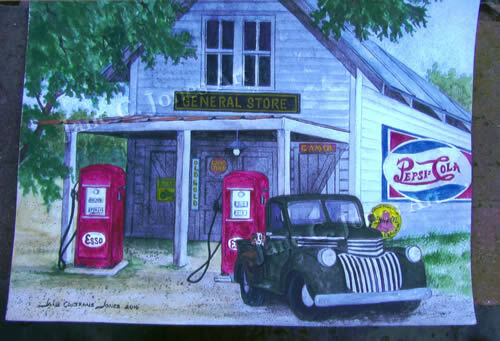 This image is currently not for sale. 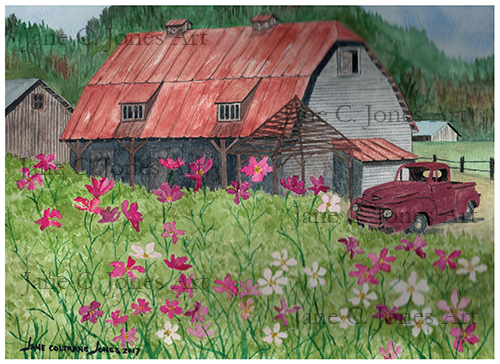 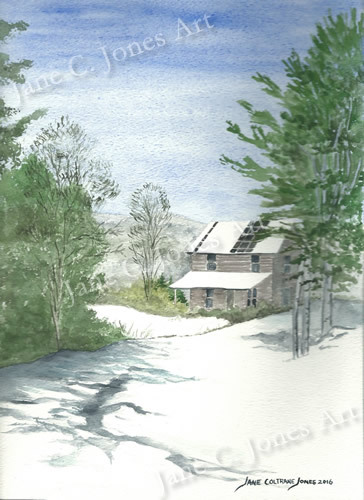 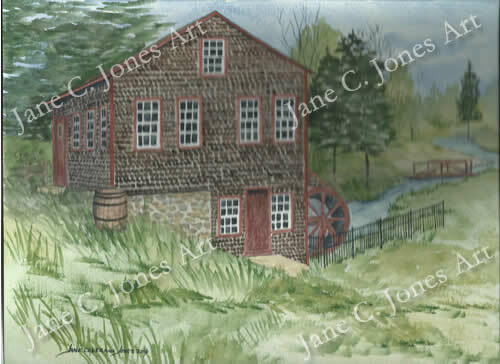 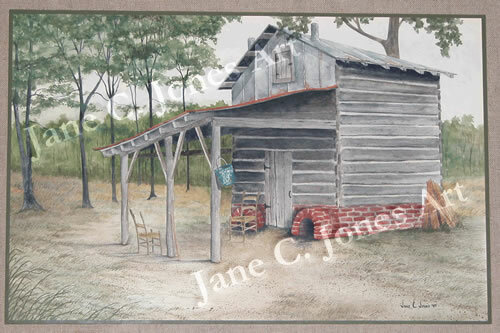 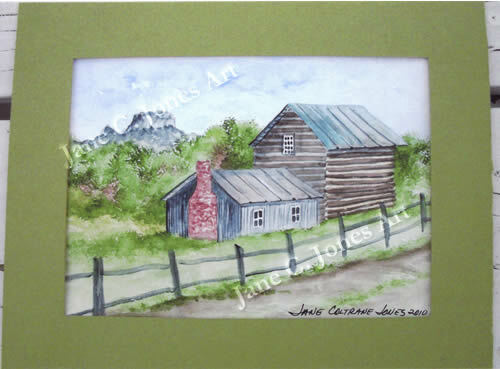 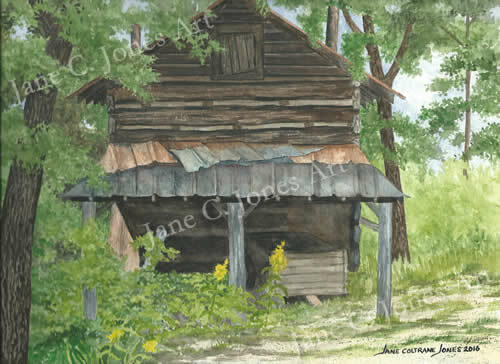 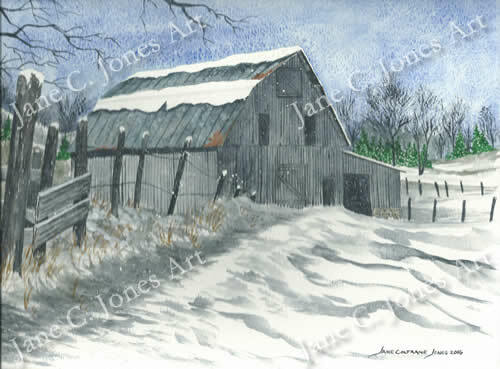 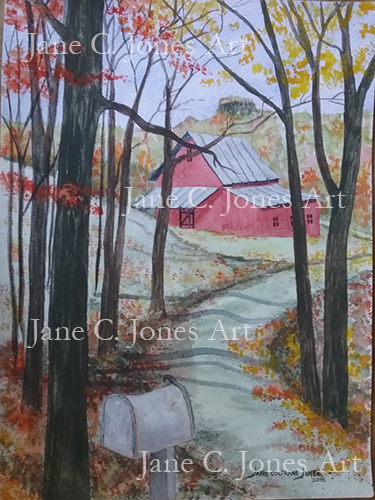 "Old Tobacco Barn with Brick"